Despite being able to handle the Royal Air Force, the Luftwaffe in 1941 had a problem. The Wehrmacht had all sorts of projects drifting hazily into view on the drawing boards, such as advances on Stalingrad, Astrakhan, and the capture of Malta. However, things were getting out of hand, because it was tough to get supplies and troops to such remote areas. In order to ease their supply problems to far-away fronts, Willy Messerschmidt's aircraft firm came up with a gigantic new cargo glider: the Me 321 "Gigant." This massive beast could carry anything a German railway flatcar could carry, up to a maximum of 23 long tons. This was 6 times larger than the carrying space in a Ju 52, the Germans' workhorse cargo plane, and the Germans needed that carrying capacity for trucks and other vehicles. It was the largest German cargo aircraft of the war. The plane was put into production swiftly, and was a huge success. However, it couldn't be used effectively. The problem wasn't the Gigant, which could do exactly what was promised; instead, the problem lay in how to get the Gigant into the air and to its destination. The Zwilling could fly with the center three engines out. With the Wehrmacht making huge advances in southern USSR and North Africa, Propaganda Minister Josef Goebbels - busy filming trucks being loaded into the Gigant for the cinema newsreels - knew that the Luftwaffe needed a solution fast. The Luftwaffe tried several towing methods. 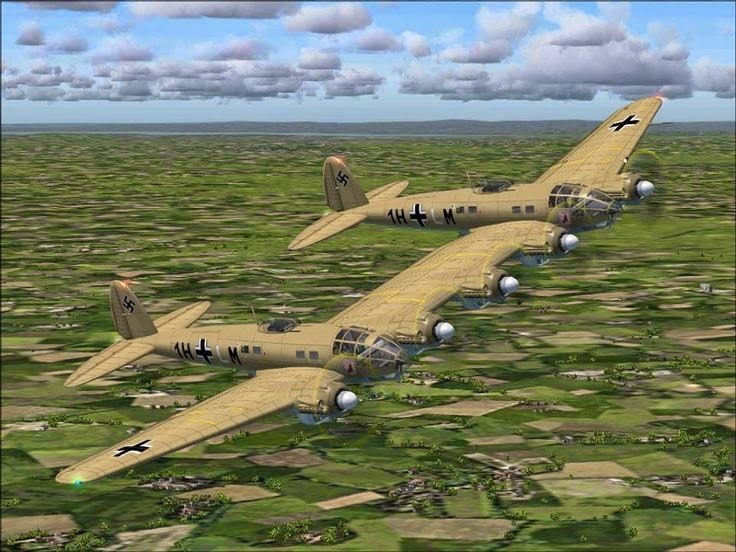 First, a single Junkers Ju 90 was tried, and this worked after a fashion during test flights. However, the Ju 90 didn't have enough power to pull a loaded Gigant, which was kind of the point of the whole thing. Next, someone came up with the idea of using three Bf 110 heavy fighters together in a so-called Troikaschlepp to pull the Gigant, with the trio of twin-engined fighters taking off together in a V formation. Even test pilots, though, had trouble doing this safely, and ordinary pilots would have had as much chance of crashing as of reaching their destination. In any event, the range of the Troikaschlepp arrangement (400 km) was completely inadequate. This picture shows the Zwilling's central portion clearly. Since Generalluftzeugmeister (Luftwaffe Director-General of Equipment) Ernst Udet still needed something to tow the monster cargo glider, he turned to aircraft manufacturer Ernst Heinkel, who had some ideas on that score. Figuring that the only thing that the existing aircraft prospects for towing the Gigant lacked was sufficient power, Heinkel and his designers came up with a novel solution. They simply bolted two individual Heinkel 111s together to create one massive twin-boom plane with enhanced lifting capacity, adding another engine on the spar between them for good measure. The design may seem a bit far-fetched, but it wasn't all too dissimilar to the American P-38 - except for the size and number of engines. Zwillings were very useful for getting a lot of equipment somewhere fast. This quick fix obviated the need for a completely new aircraft design, which would have taken years. The underlying aircraft chosen for the conversion was not his aircraft manufacturer competitor's Ju 90, of course, but rather one that Heinkel's own firm was manufacturing, the reliable two-engine He 111. 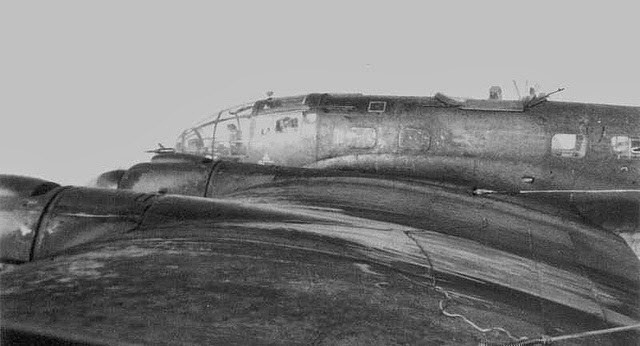 The He 111 was rapidly becoming obsolete in its primary role as a bomber, and this conversion promised the design renewed life. 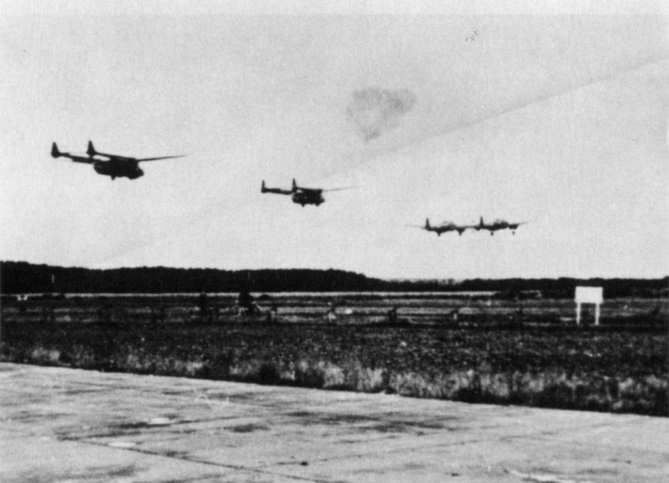 A Heinkel He 111Z "Zwilling" (twin) lifts off from the airfield in Hildeshein, Germany with two Gotha Go 242 gliders in tow. 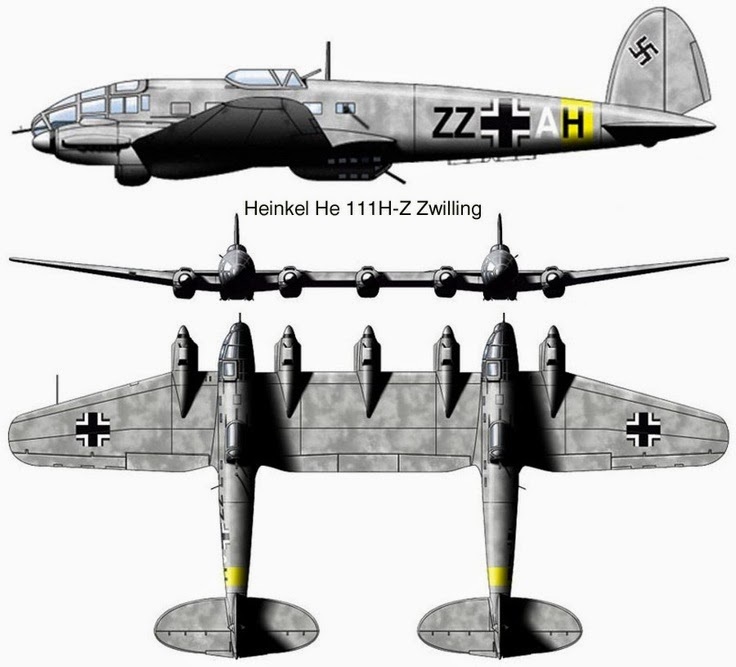 The resulting giant tow aircraft retained the original two planes' engines and added one in between, creating a five-engined aircraft that Heinkel named the Heinkel He-111Z (Zwilling) ("Zwilling" is German for "twin"). It could tow a Gotha Go 242 glider or Me 321 for up to 10 hours at cruising speed, which was roughly 314 km/h (195 mph). The Zwilling could pull a loaded Gigant in the air, but, despite its five engines, proved insufficient on its own to get a fully loaded Gigant off the ground. Thus, Walter liquid-fueled RATO (rocket assisted takeoff) podded units were added to it for lift-off. These added weight, but the rockets were jettisoned once the Zwilling/Gigant combination was safely in the air, so it wasn't a big problem. Relieved to have any solution at all, because all those propaganda reels had given the military even more ideas for using the Gigants in operations, Udet gave Heinkel an order to manufacture an initial run. This Heinkel set about doing, but his plant took longer than expected to deliver the urgently needed craft. 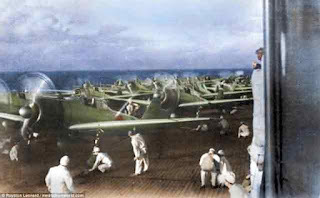 The Zwillings were not ready in time for the planned Operation Hercules, the Luftwaffe invasion of Malta in mid-1942. Accordingly, that operation had to be cancelled (though it probably wouldn't have happened anyway due to the strategic situation). This picture gives a good idea of the sheer size of the Zwilling. The 200 Gigants that had been manufactured were rusting away without anything to tow them. The Luftwaffe had plans for them and simply could not wait for the Zwillings. Messerschmidt then helpfully stepped in and offered to add engines to the Gigant design to make it self-powered. This was the perfect solution to the tow problem, so most of the glider Gigants were ultimately either scrapped or converted into 6-engine Me 323s. The Me-323 conversion, of course, now made the Zwilling a plane without a purpose. Getting a Zwilling ready for another mission. The whole project thus had turned into an expensive fiasco, but Heinkel still had the order to produce the Zwillings and nobody had the sense to cancel it (Udet in the interim having committed suicide precisely because of such fiascos). Heinkel completed the order and delivered the now un-needed aircraft. After testing at Rechlin northwest of Berlin, he supplied to the Luftwaffe a dozen Zwillings, made up of two prototypes and ten production versions. It was too few to make any difference in the overall German cargo situation, but they entered service and did come in handy on occasion. A rare shot of a Zwilling in flight without a tow. For instance, the Zwillings had fairly spacious carrying capacity themselves, without any glider, and at times were flown on their own to evacuate wounded troops back to Germany. The essential problem with their deployment on their own, though, was that without an aircraft to tow, there was no need for the Zwilling - the Luftwaffe could just send two He 111's without the hassle of having them joined. A few Me 321s remained and the Zwillings were used to tow them, and there were always smaller gliders that could be towed. However, given the numerous powered Me 323s and their identical hauling capacity to the Me 321, the Luftwaffe did not feel the need to place any more orders for the now-redundant Zwilling. The defensive armament on the Zwilling was fairly pointless. When an allied fighter spotted one, it was game over. Apparently some Zwillings were put into two staffels of the I / Luftlandgeschwader in the Crimea. There, they were used to tow Gigants during the retreat from the Gotenkopf, or beachhead in the Caucusus. This was an optimal set-up for their employment because otherwise everything they carried would have taken up shipping space and wound up in the isolated Crimea. The Zwilling/Gigant combination could ferry troops directly from the Gotenkopf to Poltava or other airports along the front lines. A Gigant could carry up to 130 fully equipped troops at a time, which dwarfed all other gliders and transport planes except the Me 323. This came in handy when quick troop movements were necessary. After that operation, though, the Zwilling again became an aircraft without a purpose. 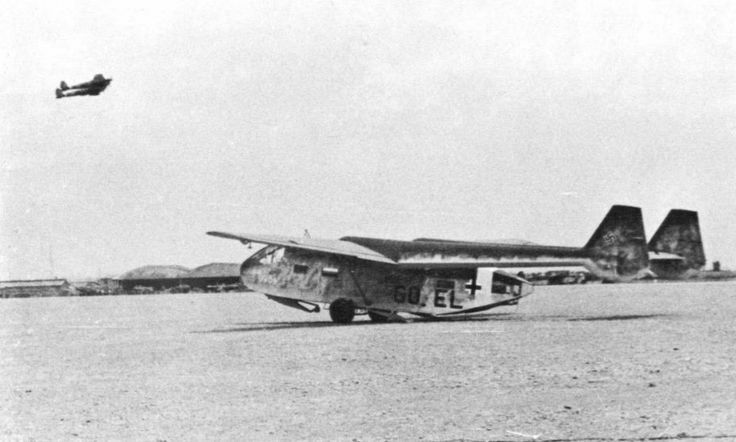 A Zwilling towing a Me 321 Gigant. In general, it was usually just easier to send things by train like normal except when carriage over water was unavoidable, as in the Caucusus evacuation (Zwillings wound up being unnecessary in the Sicily evacuation due to the presence of several ferries, and the Zwillings weren't fully ready yet anyway). Zwillings also were slow and vulnerable to enemy attack. 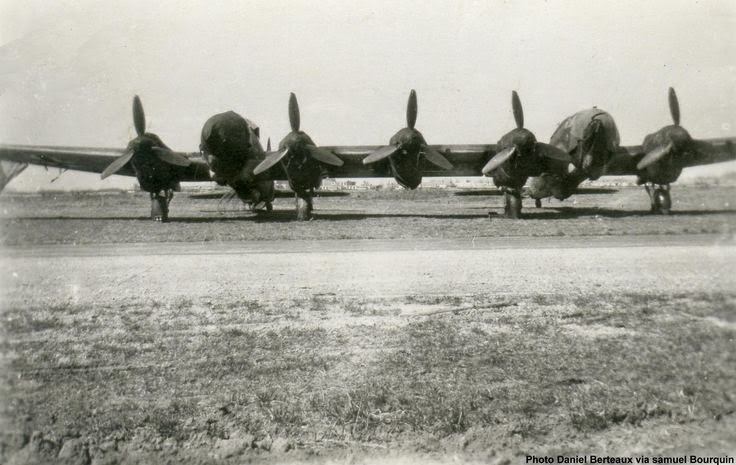 The Zwillings were brought back from the Crimea to Istres and Dijon-Longvic, France, which in late 1943 was still fairly safe from Allied fighters bombers. In fact, Allied intelligence at first appeared to be unaware of the monsters. 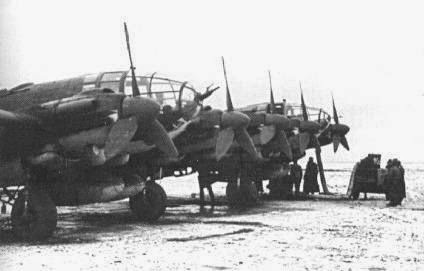 The Me-321 with take off rocket boosters. It took six or eight of these to get a Me-321 off the ground under tow. Even then, its payload had to be restricted to 20 tons, which amounted to one small tank. 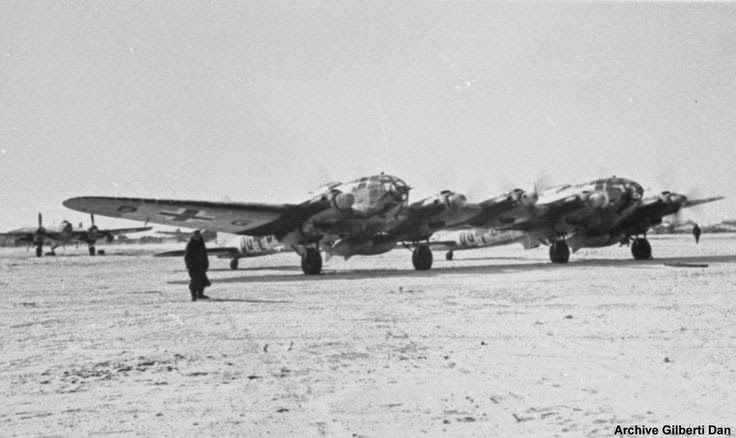 The usual towing scheme was with the specially built Heinkel He-111Z or a Ju-290, but other variations included the dangerous Troika schlepp of several Bf 110 in formation. The Jet Assisted TakeOff ("JATO") method was ahead of its time, and was later used extensively by the US Air Force (who also experimented with it during the war). So, imagine the surprise of pilots who suddenly came upon a Zwilling in broad daylight on 26 February 1944. Two De Havilland Mosquito FB MkVIs of the 418 ° Squadron RCAF (Royal Canadian Air Force) were returning from a strafing mission when they came upon a Zwilling towing two glider Gothas 242 B1 transporting troops during a training flight. The Allied pilots, Canadian Lieutenant Howard Douglas Cleveland and Australian Lieutenant Charles Scherf, turned to the attack above Besançon. One glider detached and crashed at an unknown location, and then the second also crashed, damaging a house. 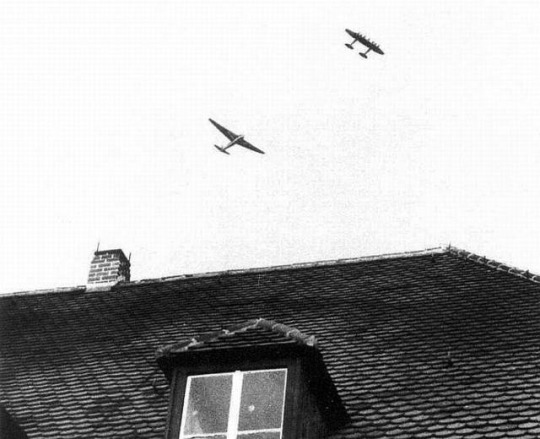 A rare shot of a Heinkel He 111Z towplane casually flying above a Luftwaffe airfield. That is a Go 242 glider in the foreground. Very few photos of the He 111Z in flight are known. While many French would have seen them flying about, taking pictures of Wehrmacht military equipment could have meant a firing squad. The RCAF pilots pursued the helpless Zwililng as it tried to get back to its base. Maurice Aubertin watched the bizarre attack and took a photograph made ​​famous by journalists Maurice Cornebois and Franche-Comté, who first reported the event in the regional press. The Zwilling spiralled down, barely missing some power lines, and came to rest in the countryside between Parcey and Choisey, neighboring municipalities of the Tavaux Aviation Field. It was actually a brilliant job by the Zwilling pilot. 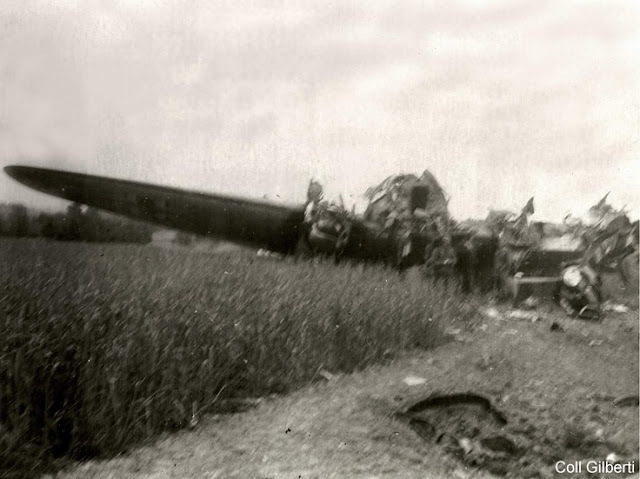 The plane burned through the cold night, and then the Germans carted off the pieces using a large Slovakian tractor. Farmers still occasionally find fragments of the plane in the fields. The crashed Zwilling at Tavaux, France. The pilot did a good job getting the beast down in one piece. Being unpowered, the Gigants caused all sorts of headaches on the ground, requiring special equipment to be moved on the runways. For instance, they required special tractors which were unavailable at forward airbases where the cargo capacity was needed. The Zwilling occasionally towed other smaller gliders, such as the Gotha Go-242s pictured below, but this was like using a bazooka to shoot a rat. The Zwilling was designed to tow the heaviest gliders, not smaller ones that other tow planes could handle. 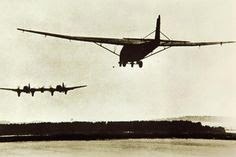 He-111Z "Zwiling" (two He-111H-6 bombers joined together with a fifth engine) Glider Tug towing two Gotha Go-242 gliders. This was the standard configuration late in the war. 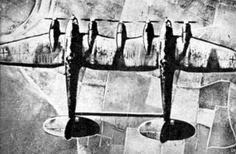 Still impressed by the aircraft's size and power, the Germans then came up with plans to use the Zwilling design as the platform for a bomber and anti-shipping aircraft in future versions. This held some promise, because with all that lifting capacity, a bomber version could carry the startling total of 7,200 kg (15,870 lb), which was as much as any Allied bomber. The Zwilling, though, was vulnerable because it was big and slow with little defensive armament (one gunner in each fuselage), a prime target for any enemy aircraft. The Allied bombers, on the other hand, positively bristled with defensive firepower. Given these deficiencies, the Zwilling could only operate with any degree of safety in protected airspace. Since such airspace was dwindling rapidly, the Zwillings that had been manufactured made few flights and mostly just stayed on the ground, finding occasional employment towing the remaining Gigants and Gothas within Germany. By the third quarter of 1944 the Luftwaffe had shut down all bomber and cargo aircraft production, the frontiers had contracted, and any remaining interest in the Zwilling had been abandoned. The Zwilling in its intended mission: towing a Me-321 Gigant. 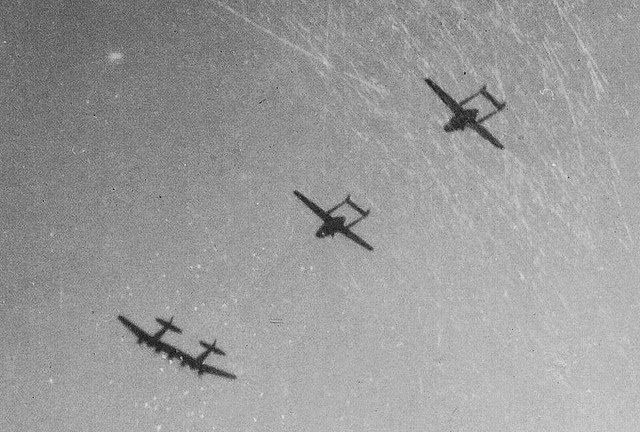 Four Zwillings survived the war, with eight either being shot down (only one is known for certain to have been) or bombed on the airfields. Those remaining four disappeared and are presumed to have been scrapped. 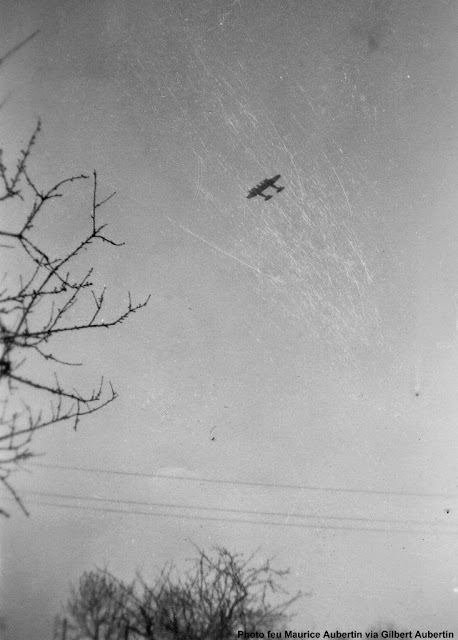 A photo taken from the left fuselage of a Zwilling in flight. You can see the tow ropes and the ventral gun on the starboard fuselage. The Zwilling has become kind of the poster child for "crazy German aircraft designs," but that is unfair. On the other hand, its exotic design also makes it a favorite for some fans of unusual aircraft. For what it was intended, the Zwilling was a modest success, but it came along too late to be of any use to the Luftwaffe. 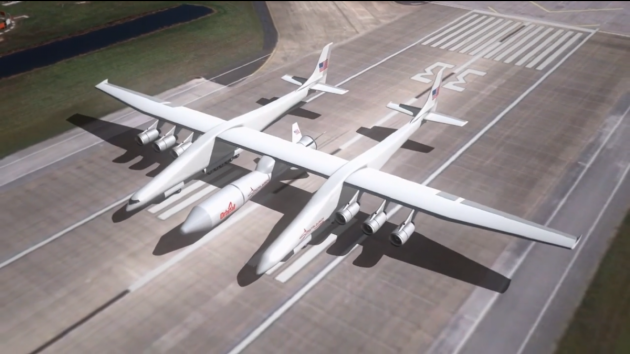 Paul Allen's Stratolaunch System, 2015. Sometimes what's old is new again.